I don’t do too many product reviews, but this one seems very necessary. This winter has been really harsh on my hair. My hair feels dry, it doesn’t curl and I notice that even when I straighten my hair, there’s no hydration even if I go days without washing it. My hair is naturally curly, but in the winter time I straighten it more (bump with a curling iron) so I can go longer without washing it. So, I’ve been trying different products and this one has really helped me! I bought two Shea Moisture products: a conditioner and a leave-in conditioner. 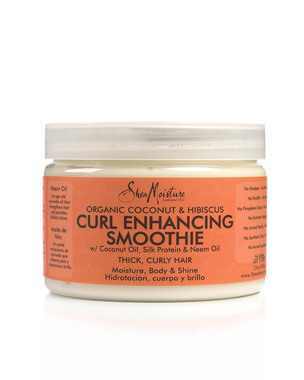 The second product I used after washing was the Shea Moisture Curl Smoothie. 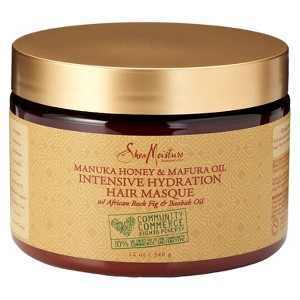 It smells so good and is good to use for continuous hydration and shine. I used it for both curly hair and straight hair styles. While my hair was still wet, I used it sparingly throughout then finger blew dry my hair (meaning I used my fingers instead of my brush while using a blow dryer). Again, I purchased this product at Target for about $10. 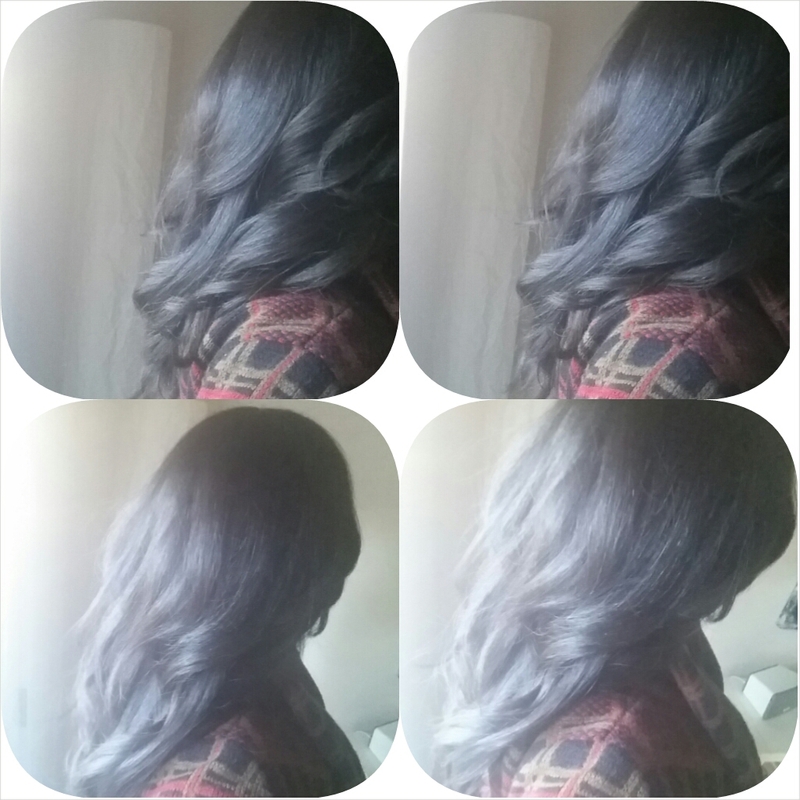 Nice, full, healthy big barrel curls and waves. If my hair begins to lose moisture, I simply apply some olive oil, but that’s rare that I need to. I’m also sure to use a ceramic curling iron. Hope this helps! Feel free to share your winter tricks for hydrated hair.